By sonar systems, we normally mean the systems employing the sound in underwater environments. SONAR (Sound Navigation and Ranging) systems have the purpose of examining the underwater acoustic waves received from different directions by the sensors and to determine whether a controlled object is within the reach of the system in order to classify it. Depending on the particular type of the sonars used, the sonar systems are further classified into passive and active systems. Active sonar systems emit the sound waves that are reflected from the controlled object. Parameter estimation and localization of the controlled object is performed based on the corresponding echoes produced by the reflected signals. 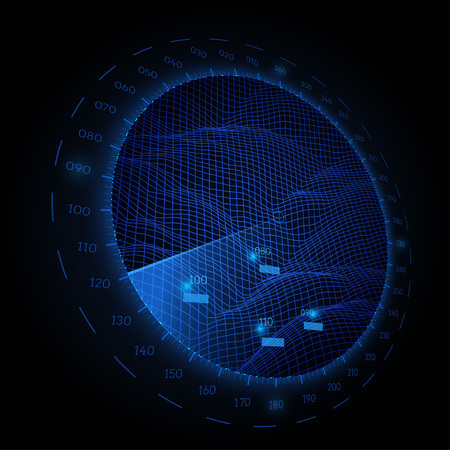 Passive sonar systems perform detection and estimation of the target (controlled object) based on the noise coming from the controlled object itself. Thus, the passive acoustic methods are generally based on the detection of a sound produced by a moving object or vessel. In terms of civil and scientific application, the passive acoustic methods are widely used for studies of marine life and seabed. Nowadays there is conducted an extensive research of passive acoustic methods implementation in new application spheres. For instance, an ongoing research is dedicated to the harbor system to be used for passive acoustic detection, tracking, and classification of various surface and underwater sources of sound including surface vessels, swimmers, various types of divers, and unmanned underwater vehicles. There are two basic methods used for passive sonar signal processing: LOFAR and DEMON analysis (LOFAR – Low-Frequency Analysis and Recording; DEMON – Demodulation of Envelope Modulation On Noise). LOFAR and DEMON analysis: technical description. Further processing of the resulting signal with the Fast Fourier Transform (the FFT processing is used in order to obtain signal representation in the particular frequency domain). Signal normalization by means of implementing a task-specific algorithm. This stage of the target signal processing is intended for overall signal normalization, evaluation of the background noise level, signal bias removal, and peak equalization. The final stage of the target signal processing is the use of a short-time Fast Fourier Transform (it allows to observe signal peaks in the frequency domain). DEMON-type analysis algorithms (also sometimes referred to as “pattern-recognition methods”) are also implemented within the framework of acoustic signatures detection and classification. Among the reasons for growing popularity of this method, one should mention the fact, that active acoustic detection systems have a number of undesirable side effects negatively affecting both environment and navigation. Acoustic signature identification and classification method is nowadays widely applicable in various civil and scientific systems deployed in littoral and shore areas. In the case of a vessel, the main acoustic noises are produced by engines, the hydrodynamic flow of the hull and the propeller motion. 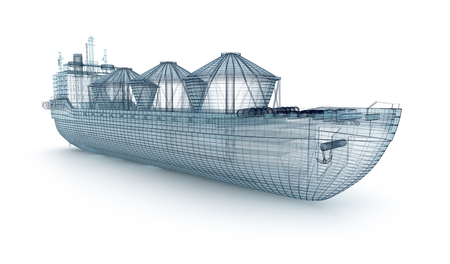 These types of vessel noise also tend to have various profiles depending on the vessel engine type, propeller blades rotation frequency and blades number, propeller depth, fatigue changes of the engine, propeller blades and vessel mechanisms. For a number of control, safety, and research reasons, it is sometimes necessary to detect the noises produced by divers in littoral areas. In this case, the main noise type used for detection purposes is represented by the sounds of breathing (both for open and closed-circuit breathing systems). The respiration cycle of a diver is approximately 10-30 breaths for a minute, depending on operating environment and activity of the diver. Actually, the sound to be detected by the passive acoustic detection system, mainly consists of the wide-band periodical noise signals formed by pressure regulators of the diving system. 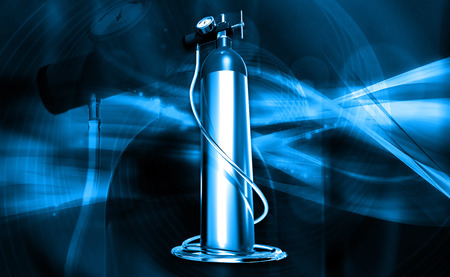 These pressure regulators are used to reduce the air pressure in the bottles (approximately 200 bar depending on the breathing system type and particular model) down to the level of pressure acceptable for the human respiratory system. The noise produced by the respiration cycle of the diver also depends on a number of factors such as noise interference environment, level of diver’s physical activity (thus, the diver can be in a stationary position or in motion), the respiratory system used and type of works or activity. Another possible area of acoustic signature use for identification purposes is the implementation of acoustic signature principle in traffic management systems. 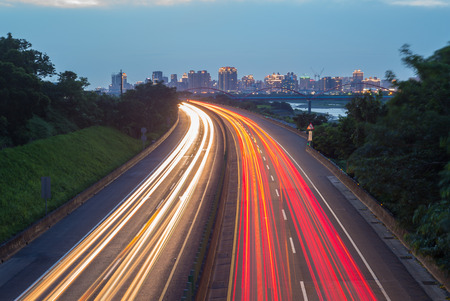 Traffic management system mainly implies a highly efficient utilization of transport network by means of real-time data acquisition and processing system. Thus, traffic management is mainly based on control and monitoring of such parameters as vehicles flow rate, speed, and traffic density. However, the key component of the system is still identification and classification of a single vehicle in the transport flow. For this purpose, a modified acoustic signature principle is used. It is noteworthy, that such systems undergo constant development and acquire functions, even though the main advantages and disadvantages of the traffic management system remain almost unchanged. Thus, among advantages of these systems, one should mention independence on the lightning environment and visibility conditions (i.e., fog, rain, or obstructing objects do not affect proper operation of this system, at the night time the system performance does not deteriorate as well). The main disadvantage of the system is attributed to its audio-based sound identification principle, which means that accuracy of the system is directly affected by the sound interference in the controlled environment. Thus, among the major guidelines for further improvement of acoustic signature techniques, one should outline the improvement of resistance to random environmental noise interference.